A striking and colourful silver ring in an organic design, set with with a teardrop shaped faceted purple amethyst, an oval faceted ruby CZ and a lovely round blue alexandrite CZ. 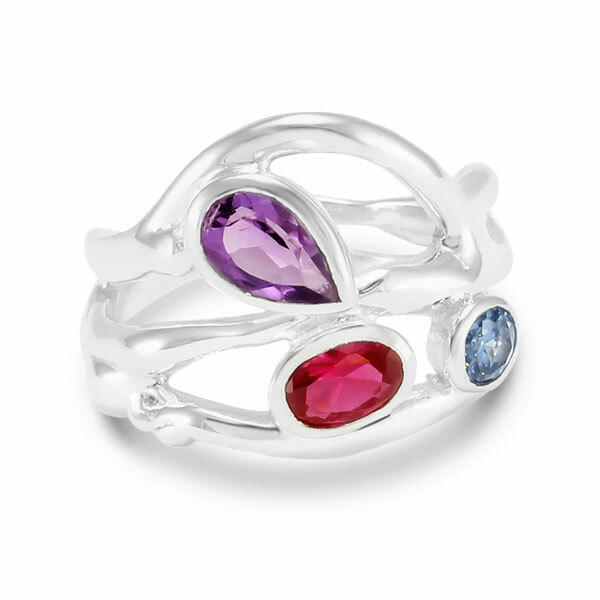 Stones used in ring: a purple amethyst, a ruby CZ & a blue alexandrite CZ. Ring sizes available: L, M, N, O, P, Q. Please advise the size required when ordering.